Don't work harder, work smarter! The reaction I get from people when I introduce new marketing tools is priceless. They just can't believe how much time and effort they can save by using the right and often free marketing tools. The most common reason for not using the right marketing tools is unawareness and abundance. It takes a lot of time to find new marketing tools and even more time to set up an account and really understand how this tool will help you improve your digital marketing efforts. In this post, I will try to list only the best free online marketing tools and explain how they can help you grow your business. Have a faster loading website. Perform in depth SEO audits faster. Semi automate your Social Media efforts. Be able to make beautiful graphics in just a few minutes. This will of course result in better SEO, more traffic, higher social engagement and so on. Install this free SEO tool and run powerful seo analysis of any website. You can check your own website, your competitor's website or other great websites you want to learn from. Click on the link to see a video of how it works and download it for free. You can enter any website url, run many different analyses and export data. Have fun playing around! Type in any website's url and get insights. Click on the link and just try it for yourself. It only takes a few seconds an nog sign up needed. Very handy to see where your competitors are getting links from. 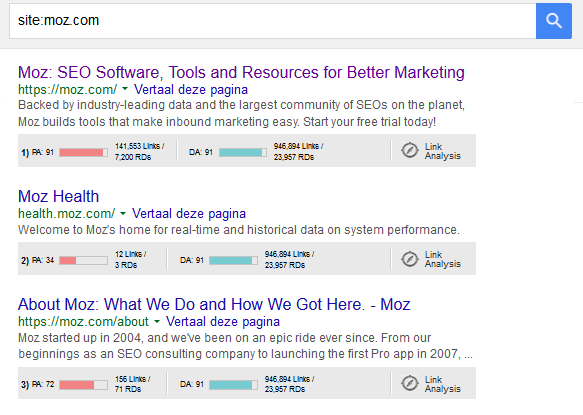 There are many things you can do with this SEO Toolbar. Click on the link to see a tutorial. I also use it to see which of my pages have a high authority on the web. After installing the extension you can enter the following in Google's search bar: site:[your site's url] to get an overview of only your pages. With the extension activated you can see how much authority each page has. These tools are a must! After implementing or updating your sitemap.xml you need to upload it in your Google and Bing Webmaster Tools. These tools give you a lot more insights. You can for instance see if there are broken links on the web pointing to your website or analyze which pages are doing well in search results. I strongly advise you to seek advice if you are not familiar with these tools. Google has announced that website loading time is a ranking factor. Also, many people leave your website if it loads too slow. With a few simple adjustments, you can heavily increase you site loading speed. These tools can give you insights in the speed of your website and individual pages. You can dig deeper into the analytics and gain advice in how to improve your site's speed. I find Kraken.io by far the best tool to optimize images for the web with almost no quality loss. Here's an example. On the left side, you see the compressed image and on the right side the original image. Can you spot any quality loss? I couldn't imagine not compressing my visuals before uploading it on my website. Each compressed image is about 60% lighter than the original and has almost no quality loss. Using this image compression tool is free for light images and it only takes a few seconds to compress. I've tried many image compression tools and find Kraken.io to be the best one out there. If you know a better one, please share it with us in the comments below. Using Social Media can take up a lot of your time. Here are some Social Media Tools to help you out. With MobileMonkey, you can amplify your Facebook advertising, content reach and customer service. Simply connect to Facebook Messenger and let the monkeys work their magic. Quuu is a relative new Social scheduling tool. Actually, it’s more a platform. You can sign up, connect to your Buffer account, set your preferences and real life people hand-pick and schedule posts for you every day. The free version allows you to get two hand-picked posts, per day. I’ve been using it for a while now. Check out my Twitter profile, every post with the Quuu short link, is a post by them. Bulk.ly is a new project Chris Makara is working on. It’s still in Beta, but you can try it out. When it’s re-developed, it’s going to solve many hassles. 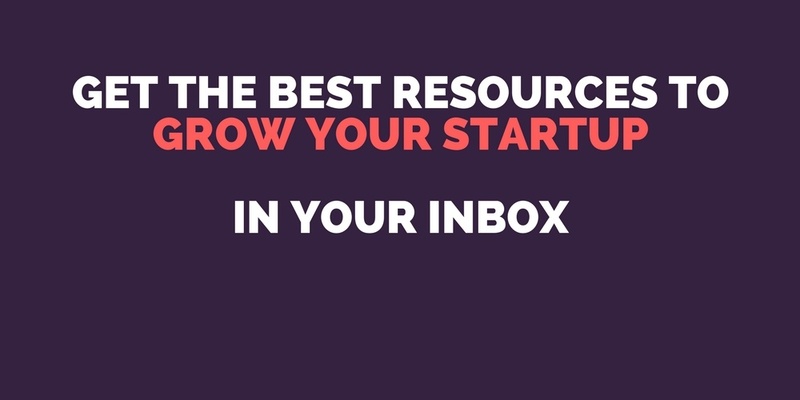 You can sign up, connect to your Buffer account and upload RSS feeds from your favorite blogs, you already share everything from or/and you can upload your own CSV files to bulk schedule messages. The coolest feature in my opinion is that you can upload all your posts in a CSV file and select how many times you want to recycle the posts. You could do the same in Hootsuite, but after you’ve posted your last post, you would need to reschedule everything again. If you need help finding the right Social Media management tools for your need, check out this post where 100+ Experts Reveal Their Favorite Social Media Management Tools. Quuu and Bulk.ly are not included because they're relatively new. Tweets with images receive 150% more Retweets. To get the most out of your Social Media efforts, I’m going to show you how you can make breathtaking graphics in under 10 minutes, even if you’re not a designer. If you want to learn more about Visual Marketing and where to find Free Stock Photos, check out my Visual Marketing Guide. I used to use Open Source tools like Gimp and IncScape. I still do sometimes, but just like Photoshop and InDesign, these tools take time to master. Luckily, Snappa, Canva, Desygner, Design Wizard and other great visual marketing tools, have made it easy to create beautiful graphics in a snap. All three tools are somewhat similar. Just pick one. They all provide templates like: Facebook Cover, Infographic, Twitter Post, you name it. After you select what kind of design you want to make, you just drag and drop backgrounds, elements and text. Amazing! Using the right Hashtags can drastically improve your reach on Twitter. Back in the days, I just guessed which hashtags I used. Now, I made a small list and update it every six months. I suggest you do the same. Go to Hashtagafy.me and RiteTag.com and look up important key words in your industry. Found this post helpful? Share it on Social Media. Let's make more people happy, share this post. The three books below can help you become much more effective with your Digital Marketing efforts. Check them out if you haven't done so yet. Get the best sources of free stock photos, even for commercial use. 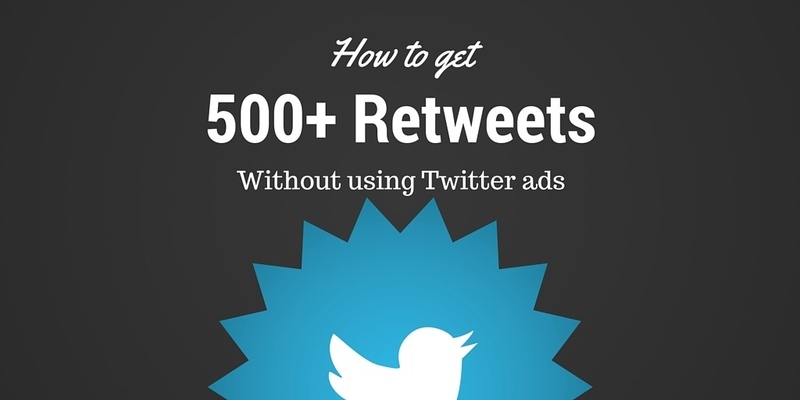 Get the Step by Step guide to receive 500+ ReTweets for any (good) post. Founder of GlobalOwls, a platform where Professionals and World-Changing organizations can collaborate easily. I love to learn and to share my learnings with as many people as possible via my mailing list and blog.